Alex Iwobi made his 22nd Premier League appearance for Arsenal who lost 3-1 to Manchester City at the Etihad Stadium on Sunday, reports Completesports.com. 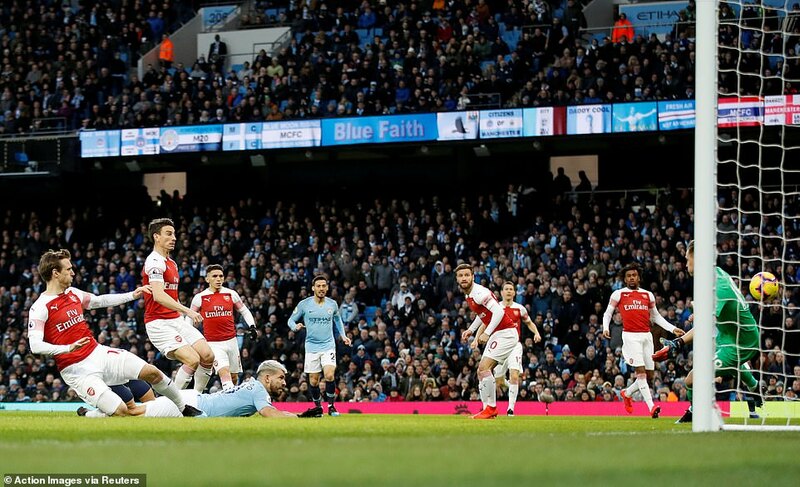 Iwobi was robbed off the ball in lead to Manchester City’s opening goal which was scored by Aguero after 45 seconds.Sergio Aguero scored an hat-trick for Manchester City who move two points closer to leaders Liverpool. It was Aguero’s 10th hat-trick in the Premier League. 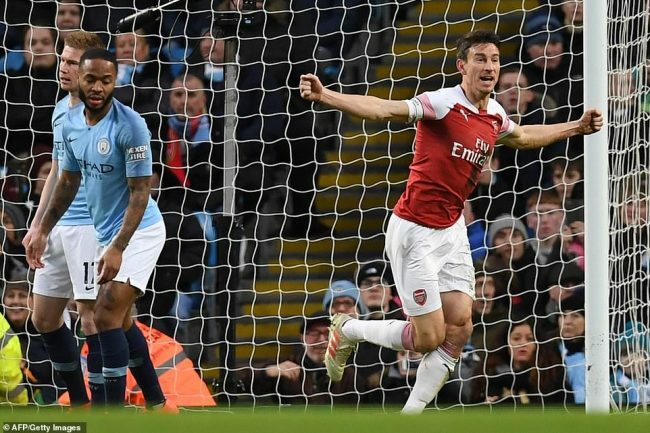 Arsenal were level ten minutes later through a flick header from Laurent Koscielny which cancelled out Aguero’s opening goal. Aguero restored City’s lead just before half time, with a simple tap in after Raheem Sterling’s perfectly-weighted volley across the face of goal found him for the simplest of finishes. City did get their third goal shortly after the hour mark as Aguero completed his 10th Premier League hat-trick with another close-range finish, this time with the help of his hand. Iwobi was subbed off for Aaron Ramsey in the 65th minute of the encounter. The defeat sees Arsenal slip from fourth to sixth following Chelsea and Manchester United wins earlier in the weekend.